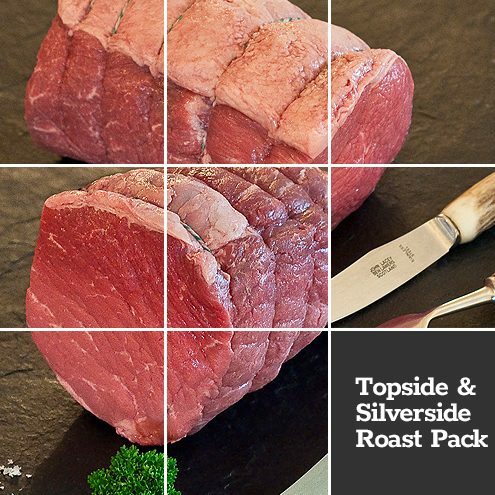 A fantastic saving on our 21 day dry aged topside and silverside joints. 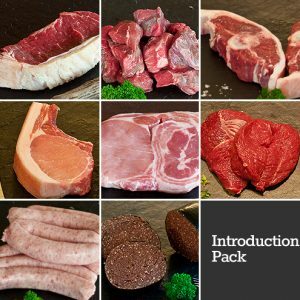 Buy one pack and save 10% on normal prices. 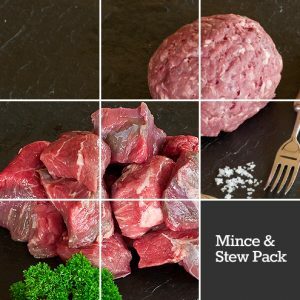 Each pack contains 1 joint each of topside or silverside to the weight specified. Need more joints for an even bigger saving, simply order more packs! 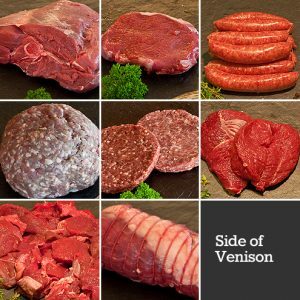 21 day dry aged Topside and Silverside roasts cut to suit your family size and delivered fresh. 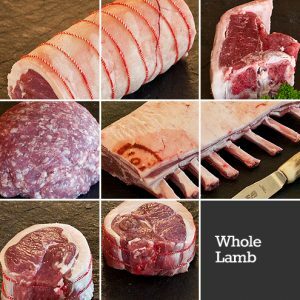 Macbeth’s Topside and Silverside roasts are selected from our own Highland and Shorthorn beef, born and reared on our farm. Due to our ageing process, Macbeth’s Topside is a great quick roasting joint – perfect cooked medium rare and carved thinly. It is also full of flavour and absolutely superb when served cold – i.e great for leftovers! Macbeth’s Silverside is a great slow roasting or pot roasting joint where when cooked “low and slow” it really makes the most of this cut. Again it is dry aged for 21 days and is all the more delicious for it.